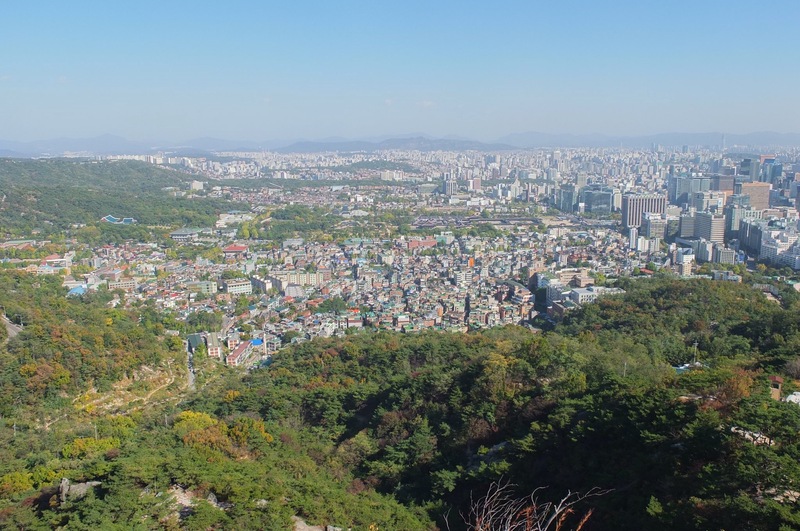 Seoul is located in a basin and is surrounded by four mountains. 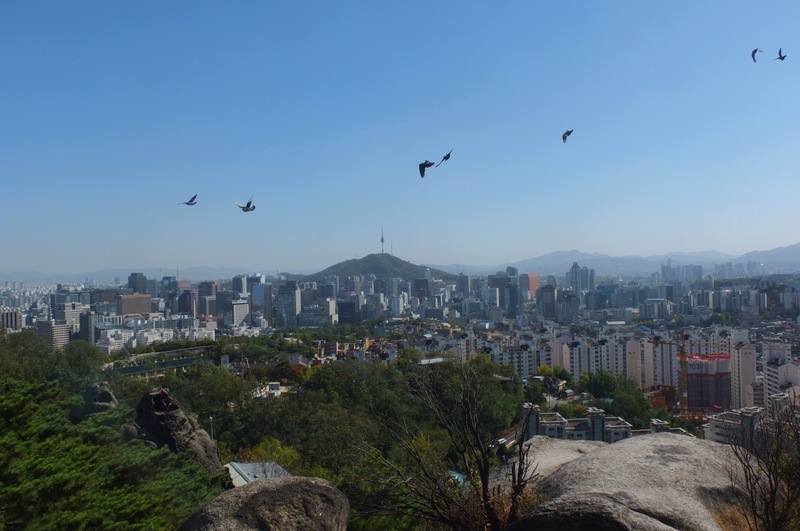 We decided to walk around and up Ingwangsan and were rewarded with spectacular city views. 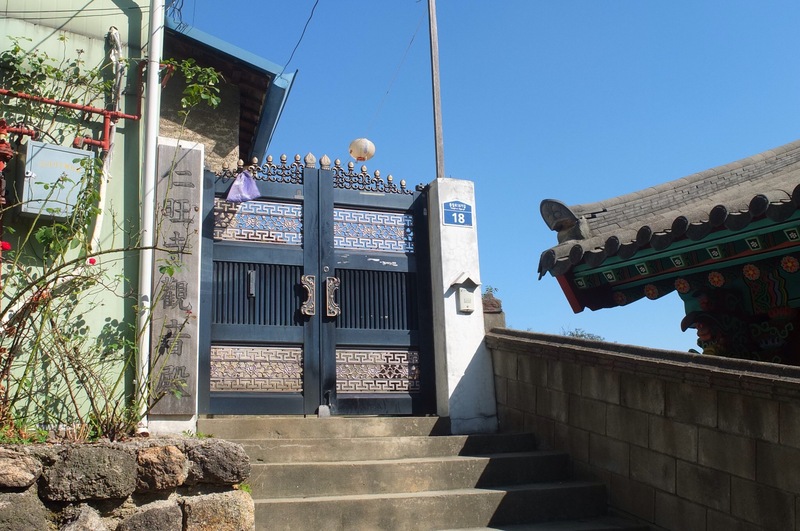 We also came across several different temples and shrines. 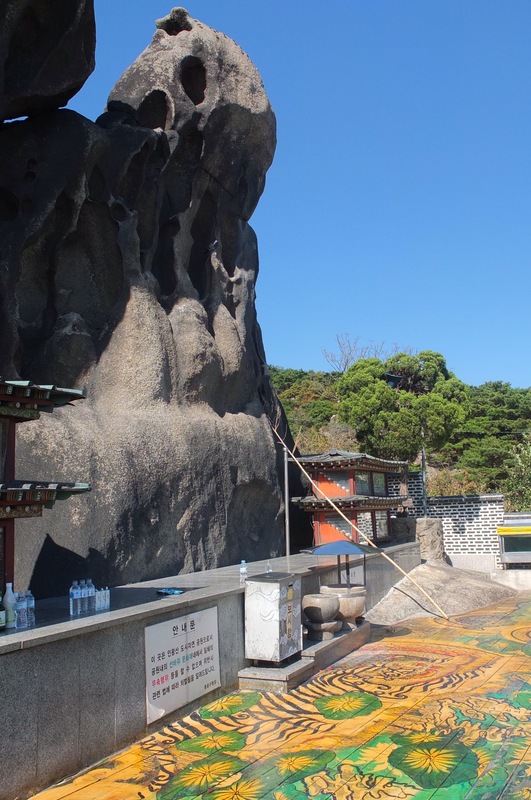 It was incredible – we just took the metro to a stop in the north west of Seoul. It wasn’t even outside the city! At the start of our walk we saw these beautiful and detailed murals. Further up we came across this shamanist shrine. 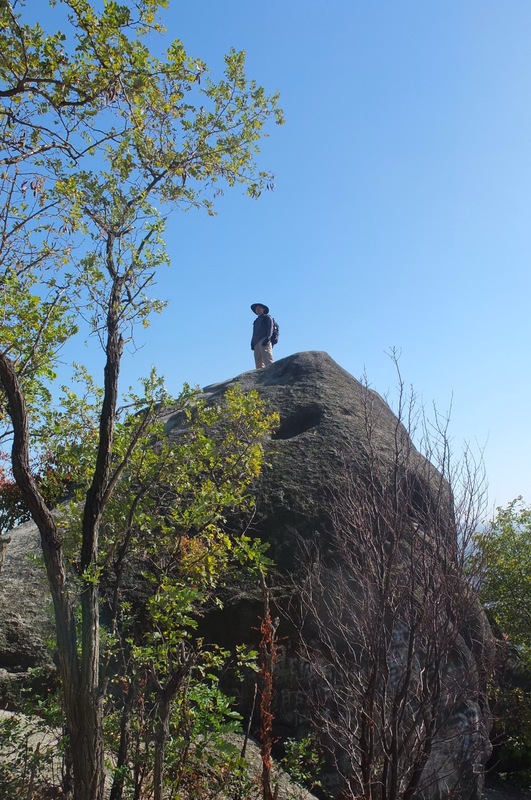 We climbed further up to this interesting rock formation. 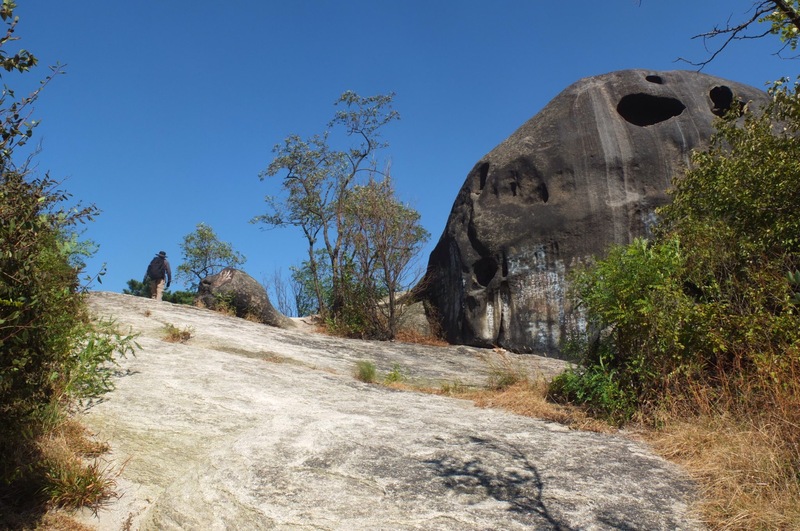 They are called Zen Rocks and are supposed to resemble a praying buddhist monk in a robe. Great views! And the sky was so blue! Yet another perfect day in Seoul. Sunny and crisp. We weren’t really sure which way to go sometimes and some of the terrain didn’t look like, shall we say, the standard route. Luckily we had a man with us this time, so we sent him ahead to check it out. Thanks Brian! More great views. Remember, we’re still basically in the middle of Seoul! Then we came across the fortress wall that surrounds the whole city. There were people walking on the path to the left of the wall. But we were on the inside, to the right. How to get over this wall? Brian suggested to climb over it but we refused. We eventually found some stairs and a bridge leading us over the wall and we continued our way up on the “official” path. 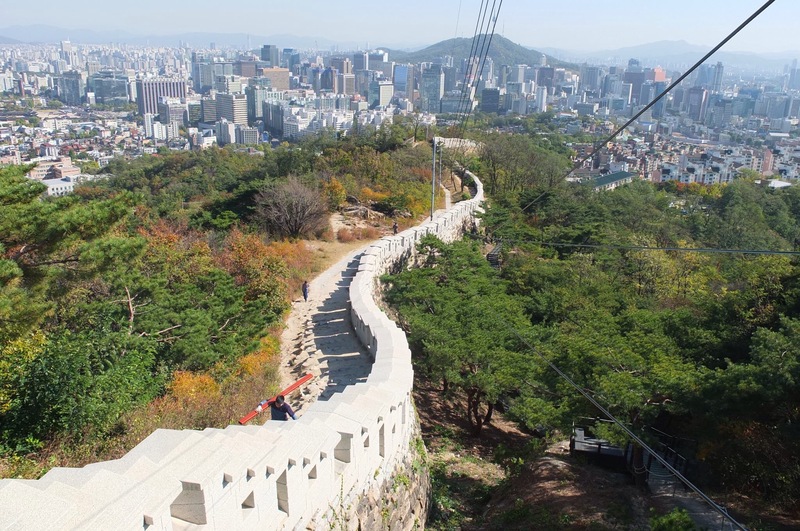 This walk was one of the reasons why Seoul impressed me so much. 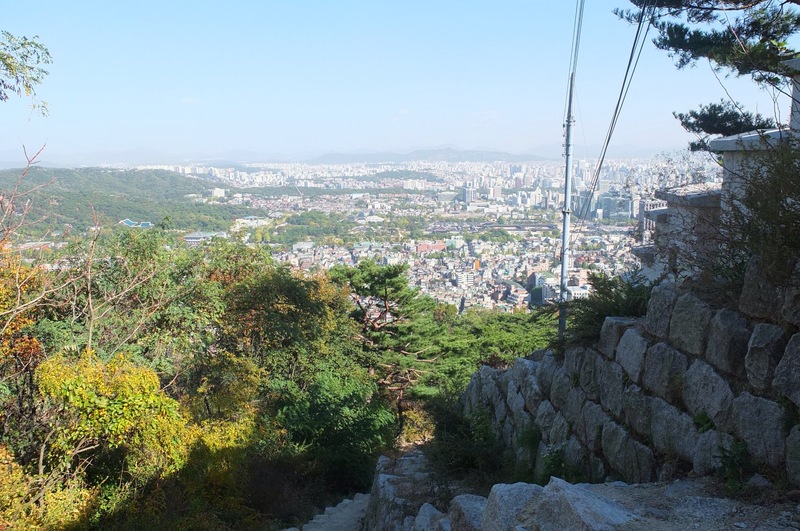 You can go mountain climbing in the middle of the city and enjoy wonderful views. 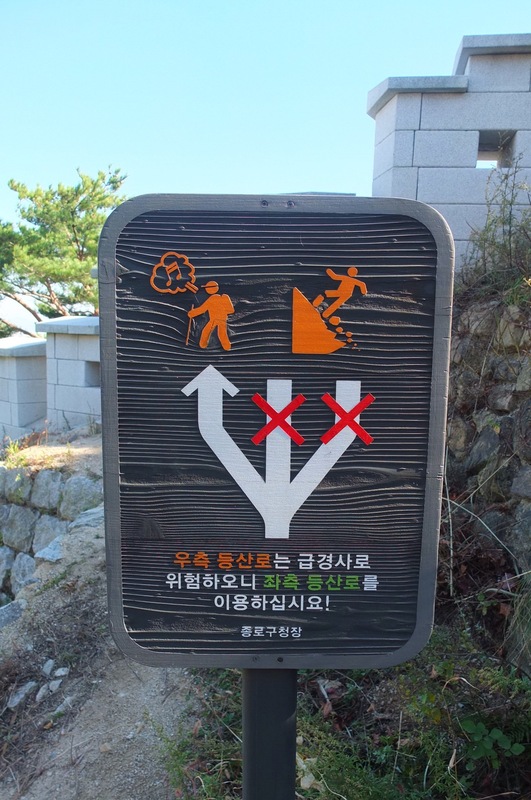 Considering that there are three more mountains, I’m not surprised that the favourite hobby of Seoulites is hiking. Wow this looks fantastic! And so colourful! Love it.